How To Score In IELTS Exam ? 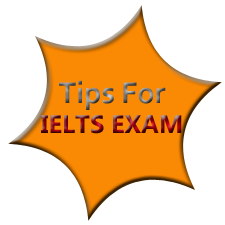 IELTS exam is very important to get the Permanent residency. The full form of IELTS is international enlish language testing system. This is compulsory for the the seeker of permanent residency. Wikipedia also gives great information on this exam to get permanent residency in foreign countries. Sometimes it is seen that some person passed it very easily but some people even after doing too much hard work not able to get success in this exam. By studying many cases I want to share my experiences and tips to clear this exam to get permanent residency. As an astrologer I got several cases related to this exam and there main question was that "I am doing too much study but till now I am unable to pass this International English Language Testing System". What To Do?. Some has problem in Ist house i.e. First house was affected by malefic planets and due to the mahadasha or antra dasha of that planet person was unable to pass the exam. Some has problem in there 4 and 5 house too. Due to which luck was not supporting them to pass that exam. I have also found the impact of shani in that period of time due to which person left by a few marks. Some become in-stable at the time of exam and loose the confidence and lost the exam. Some person faces obstacles in reaching to the exam point many times due to various reasons always. Some forget the answers even after doing hard preparation. So many types of reasons are detected but by studying the horoscope or birth chart it is found that in back end planets are playing vital roles. So we can't ignore the powers of planets. Do worship lord ganesha before leaving for exam. Do take curd with sugar before going for exam. Do meditate daily to increase your concentration. Have faith on your self and god. Do recite this 108 times before going for IELTS EXAM "vakra tund mahakaay surya koti samaprabha, nirvighnam kurume devo sarwakaryeshu sarwada". Do consult astrologer to know the exact reasons of failure again and again and know the best ways for you only to open the ways for the permanent residency. Don't get depressed if you are not getting success, don't get upset if you are not qualifying in IELTS, do pray and meditate and try once more. You will definitely get success. 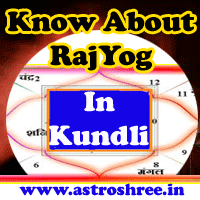 Don't hesitate to take the paid services of ASTROSHREE ASTROLOGER to consult regarding your residency problems. Get the detail analysis of your horoscope and remedies to over come from your permanent residency problems. International English Language Testing System(IELTS), Hurdles in passing exam, astrology ways to over come from difficulties, easy tips to score good marks.